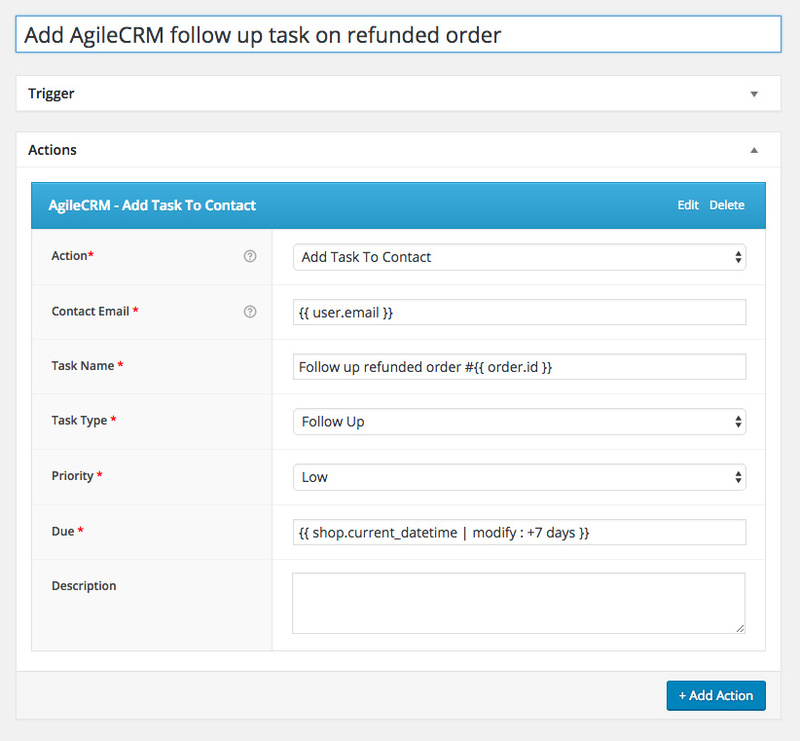 Automate customer management by integrating AgileCRM & WooCommerce via AutomateWoo workflows. 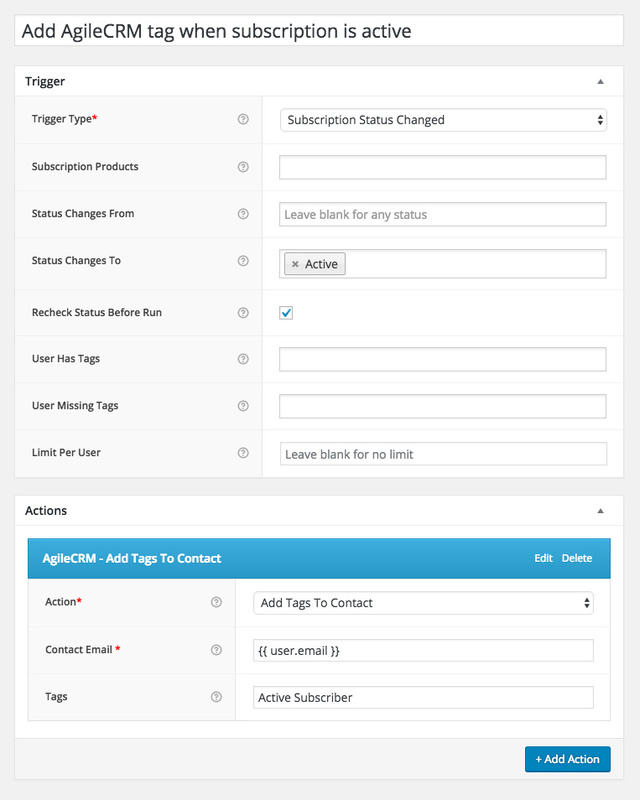 A license entitles you to 1 year of updates and support. Each installation of the plugin will require a license key to be activated. 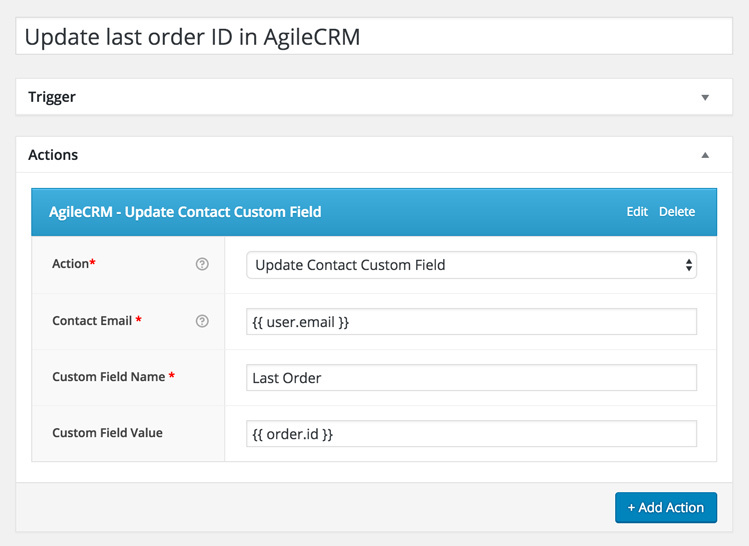 The AutomateWoo AgileCRM add-on adds new actions that can be used in combination with the wide range of triggers already included with AutomateWoo. 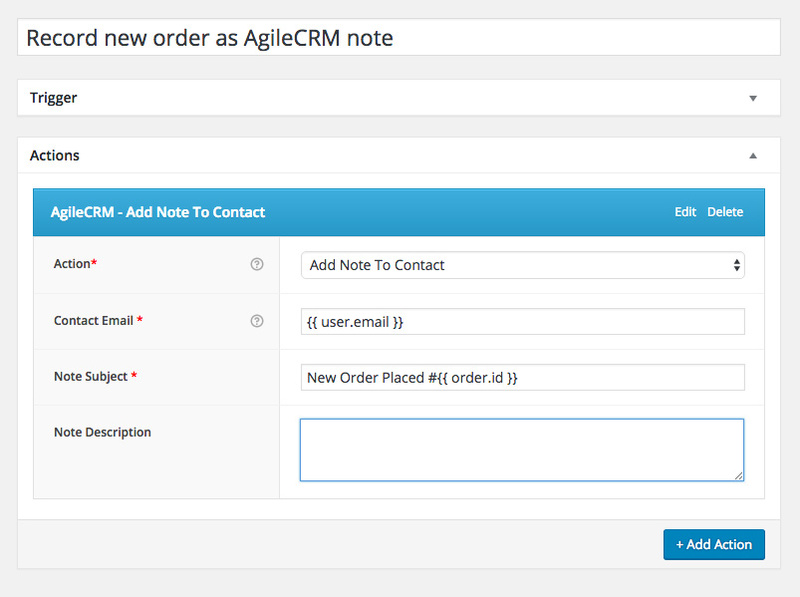 The add-on can be used in combination with the official integration plugin provided by AgileCRM. 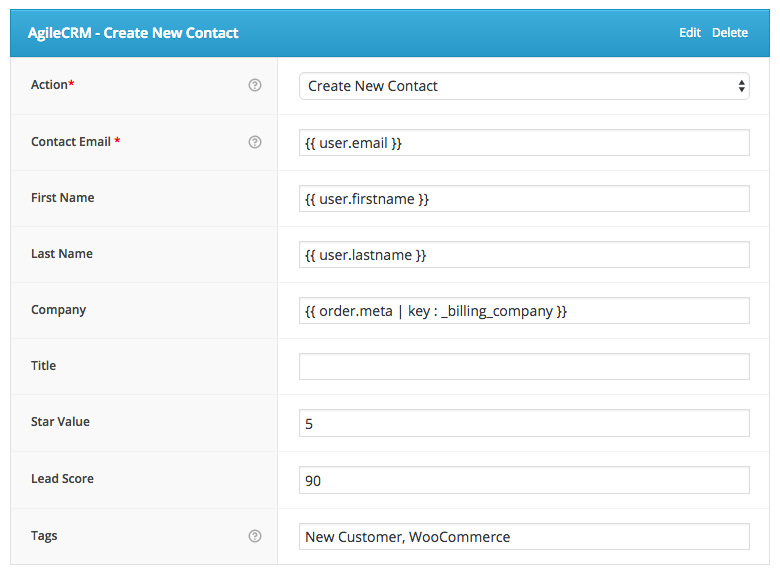 It’s actually recommended to use both plugins as they will each bring different functionality to your WooCommerce store.